AMD Radeon Fiji R9 390X High Bandwidth Memory 2.5D & 300W? 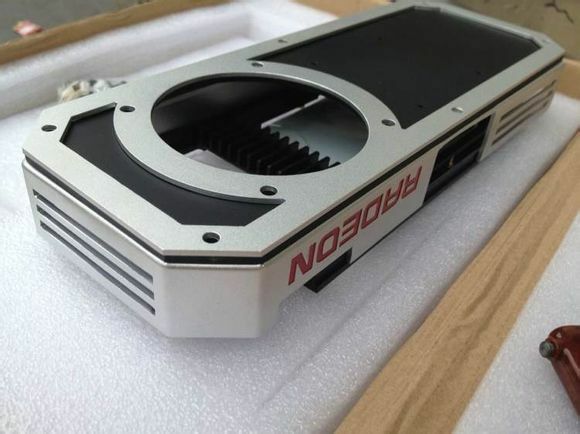 There have been rumors AMD’s latest discrete range of GPU’s, the Radeon R9 300 series, will feature HBM (High Bandwidth Memory) for the past 12 months. We’re still awaiting an official confirmation from AMD, but a ‘leak’ of sorts has popped up via LinkedIn. This leak points to the new AMD Radeon series possibly running at 300W for the higher end parts, and will indeed feature HBM 2.5D to provide more than ample memory bandwidth to make the pixels fly across the screen. More so, the new Radeon Range will possibly be known as “King of the Hill”. “Developed the world’s first 300W 2.5D discrete GPU SOC using stacked die High Bandwidth Memory and silicon interposer” proudly proclaims AMD’s System Arcitect Manger, Linglan Zhang‘s LinkedIn Profile. This is the latest in a rather large series of rumors (or reveals, if it turns out to be true) to come to us via LinkedIn, including news that AMD and Microsoft are jointly working to shrink down the APU powering the Xbox One to 20nm. Let’s first tackle what 2.5D stacked High Bandwidth Memory actually is. I’ve a sneaking suspicion many will be more familiar with the 3d HBM, so let’s provide a brief comparison. When dealing with 2.5D, an XPU (meaning a CPU, APU or GPU for example) and the HBM DRAM are sat atop of an interposer (explained in a second). On a 3D vertical stack, things are a bit different. with the HBM sat directly on top of the XPU (in this case, the Radeon GPU), with no interposer needed (it’s directly connected). The benefit of the latter is that it requires a smaller area, while the 2.5D chips area is larger, but this negative is offset by the 2.5D die also being cheaper to produce. Fortunately, heat isn’t too much of a concern, because the DRAM and XPU sit side-by-side and thus the cooler crosses over both of them. Because of this the chip is effectively cooled; naturally, it’ll require a larger cooler than a 3D HBM however. 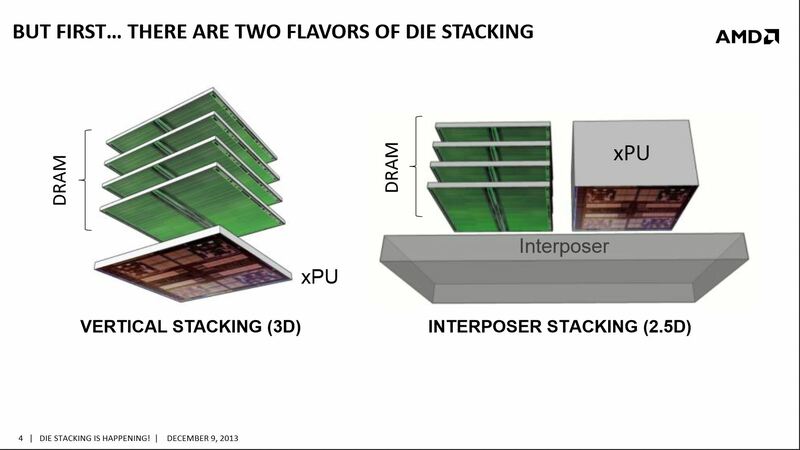 An interposer acts as an interface between the two dies (in this case, the HBM and the GPU) – think of it as the ‘wires’ which connect the two together. Not only are they regularly used in processors, but are even used in other devices (for example, SATA drives). It’s quite a nice way for AMD to reduce the cost and possibly the complexity of the manufacturing process along with it. The fact the GPU is 300W is a bit of a cause for disappointment – and as things stand, the possibility the GPU isn’t 20nm has increased. It’s also possible that AMD the exact TDP hasn’t been decided yet – or possibly it’ll be 300W because its running an absurd number of shaders, but that’s highly unlikely. While it’s far too early to predict the future, the Maxwell GM200 is looking to be lower than 250W. We know Nvidia are pushing towards 20nm, so 250W is really the least we’d expect for their endeavors. Logically, this will mean King of the Hill is the codename for AMD’s entire Radeon 300 range of GPU’s (I think it’s kinda cool personally, but then there’s no accounting for taste) and the GPU (probably the PCB if nothing else) will be physically the largest out of the bunch, because it doesn’t feature the High Bandwidth memory of say the Radeon R9 390X GPU. All we can do is wait until more information is revealed – but hopefully we can get an announcement soon, I’m very curious to see what AMD have been working on all of this time. If the R9 390X is indeed running at 28nm and 300W and Nvidia’s GeForce GM200 is say, 250W, it’ll be down to performance and pricing. If AMD’s cards are faster, users might well be more than willing to sacrifice the TDP (particularly the bleeding edge users who’ll likely water cool anyways). But then, with news on the Hybrid cooler, perhaps heat won’t a big deal? In which case, it’ll all be down to the price and the rate the GPU can render those frames of animation. For more rumors on the R9 300 series, checkout AMD R9 series rumored to be announced in February. AMD's Radeon R9 390X GPU features 2.5D high bandwidth memory at 300 watts and will be part of the King of The Hill series. Tagged with 390x, AMD, amd 390x, bandwidth, memory, radeon, tech, Tech Tribunal.